A reader challenged me to talk about specific solutions and startups in Rwanda that Zimbabwe can draw inspiration from Rwanda. 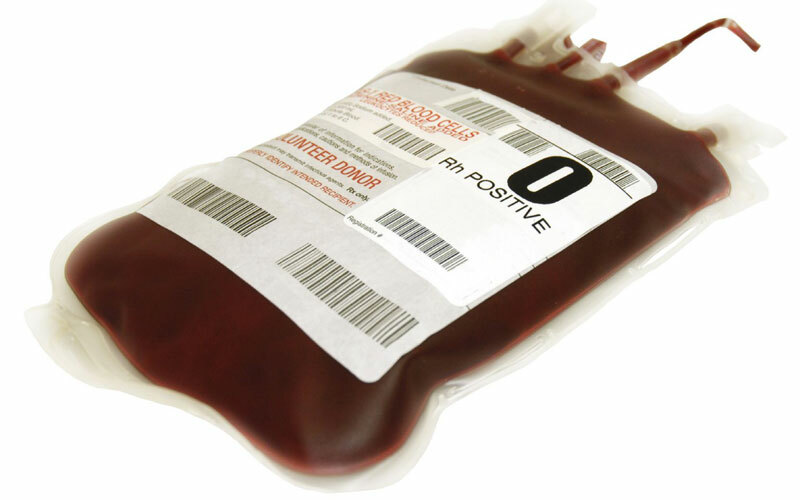 The issue of blood and blood products has been topical in Zimbabwe for some time now particularly when it comes to cost, availability and distribution of these products which when needed they are critical to life and death. There is a good example of how Rwanda has imagined this critical resource. Paul Kagame, the president of Rwanda is considered the ‘digital president.’ He has embraced technology and sees it as critical to the development of his nation that’s why in Rwanda you have such things as ‘One laptop per child,’ a programme for getting computers to kids in school. The guy has vision and that vision draws resources to his country. So, Kagame expressed that he wanted to see the time it took for any patient in any Rwandan hospital or clinic needing any critical medical supplies to get those supplies delivered to fall from an average of several hours to between 15 minutes and 45 minutes. Very clear, very specific. A startup in Silicon Valley working with drones heard the call and they deployed themselves into Rwanda to solve this problem. They decided to start with a specific critical need for some patients particularly women who were giving birth: blood. They decided to build a drone delivery system that would make blood available to anyone who needed it within the 45 minute time frame that Rwanda’s president had mentioned. Zipline was thus launched in Rwanda to solve this problem. Solving this meant Rwanda has the honour of being the first and only country in the world to have an operational drone delivery service. You just don’t deliver blood anyhow. It is sensitive to temperature and other conditions besides the obvious hygiene needed. Dhruv Boddupalli, a physicain and biological engineer trained at Harvard, Stanford and MIT is Zipline’s Director of National Implementations. It calms you to know he knows what’s needed as much as anyone would. Zipline set up a storage and distribution centre for blood. This comes with a fully functional ‘drone airport’ and control tower. Blood is stored here centrally under the management of trained biologists/doctors. This is where it is packaged and loaded unto a drone when needed somewhere. The conditions of the packaging and all are controlled to maintain the integrity of the blood. Doctors, nurses or any health workers at remote hospitals and clinics text (SMS) their orders to Zipline when they need blood at the point that they need the blood. Zipline workers load the needed blood onto special carriers and then onto the drone. The order is dispatched and the requesting medical outpost is notified via SMS that the order is on its way. The drone flies at 110km/h and it has no traffic or potholes to contend with. Within minutes (the average is 30 minutes or less) the blood arrives at the needed facility and it is dropped by the drone via parachute into a designated area (a couple of parking bays wide really). The medical staff are notified of the delivery via SMS. The drone flies back to the zipline distribution centre where it may be deployed elsewhere. What did they have to adjust to make this work? The government of Rwanda had to be willing to integrate Zipline into the national healthcare delivery system and to rely on it to deliver. Right now in Zimbabwe distribution of blood is done to large referral hospitals prior to need using availability and historical data to decide allocation. This means that someone may die at Hospital A because Hospital A doesn’t have the blood type that they need even though that blood type is available elsewhere. It’s called inefficiency. Technology exists to reduce inefficiency when it comes to the distribution of a scarce commodity like blood. Zipline themselves had to be willing to work with the government of Rwanda and so they are. The government cannot abdicate the throne when it comes to essential services. They just need to be an active partner that ensures equity in distribution which is sometimes an issue when private business is left to itself to pursue the profit motive. The scandal with our National Blood Services was that it was no longer a non profit but a private company which they refuted. Another adjustment had to do with the Rwanda aviation laws. They needed to change their legal framework to allow drones to be operated and flown at the scale that Zipline is doing. This requires the end of some of the paranoia some of our governments in Africa have. I don’t know if the Zimbabwean government is ready to go this route. What of attitude from general public? A guy from Somalia asked an important question especially from his national context, “Aren’t people afraid of the drones especially given that drones have been largely used for military offenses?” Zipline’s experience has been the opposite actually. Local kids call the drones ‘air ambulances’ when they see them flying by. They also invest in getting kids and others to tour their operations and to interact with the whole process. They told us a story of a woman who came to show them the child she had given birth to and to tell them her health workers had told her that she would have died had it not been for the timely delivery of blood by Zipline. It is painful when doctors lose patients and when we lose loved ones to conditions that can easily be treated but cannot because the logistics aren’t right. The doctor knows what to do but can’t because there is no blood…. Interesting …. however our crisis is NOT HAVING the blood to distribute in the first place. Any good ideas on how to get people to donate ? People are dying because there is no blood and not because the blood did not get delivered. Happy to work with anyone on trying to create awareness of this issue. Yes I am aware that there is a shortage. To efficiently distribute the little that’s there may make a huge difference still. Another issue in my opinion is that of superstitions. People are conditioned to not want to part with their tissue and organs. It explains why few people give blood and are organ donors. The fact that the authorities have stopped the campaigns of yester-years which urged people to donate blood does not help. Then there is the issue of corruption. The public donates blood but “unototonyora” to get blood even if you are a donor. The well connected get your blood while your relative lies dying. Hmmm now you know … (not angry with you). Zim problems are beyond the acceptance of Tech solutions but greedy. Any thing that does not give quick cash is seen as problem not a solution, any thing for free is seeing as political point scoring and you may even go to jail or killed especially if you can help from outside your community. – Zim suffers from intolerance …. Hie Garikai, I’m a regular blood donor myself and what you said about ‘kutonyora’ to get blood really touched me, do you have evidence of this or it’s just hearsay?I’d be more than interested to get in touch with you to delve more into this, did you experience it yourself? Logistics are important, a person can die at Parirenyatwa while there is blood at Wilkins.